Trenomat stages are some of the most robust on the market. 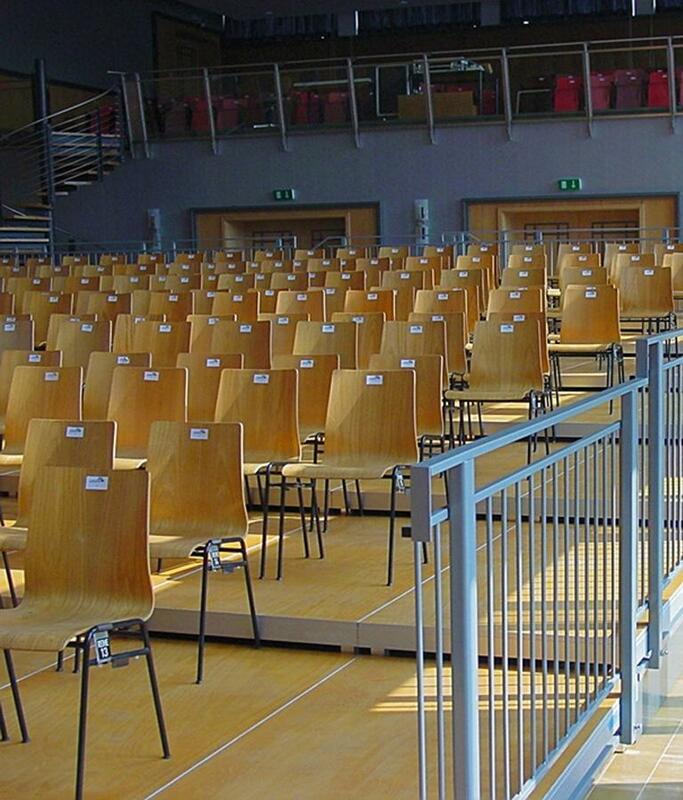 The system is modular and completely flexible; stages can be built up from standard 2m x 1m, 1m x 1m or 2m x 05.m modules with a choice of fixed or telescopic legs at various heights. Alternatively the stages can be built to your bespoke design. Fix Stages have a load bearing capacity of up to 750kg/m2. 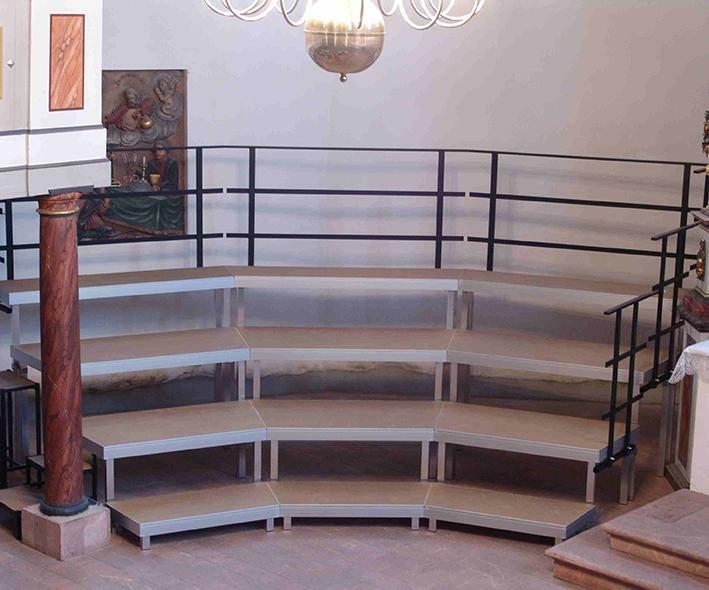 Suitable to create stages, stepped structures, rostra or choir stages. The removable legs make this model space-efficient to store. 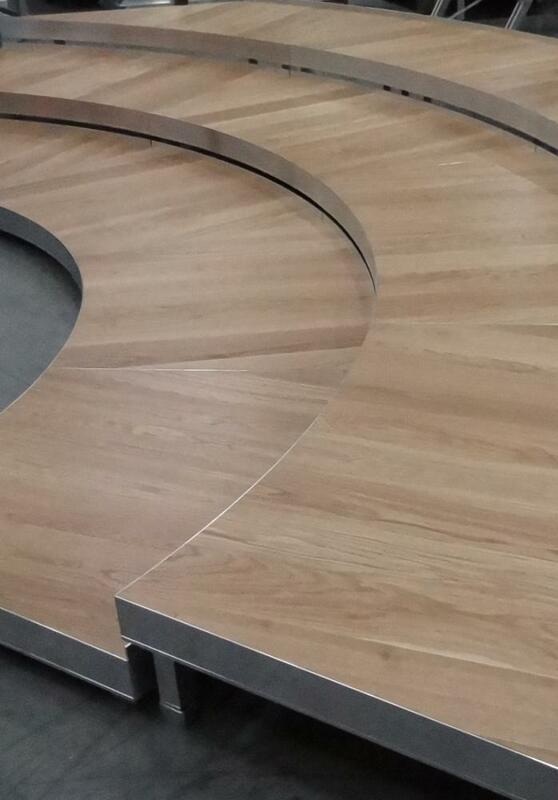 A wide range of surface finishes is available, but further customisations can be made on request. Please discuss your requirements with us. Low overall weight, with aluminium profiles. Legs, in a range of fixed or telescopic heights, simply snap into place. 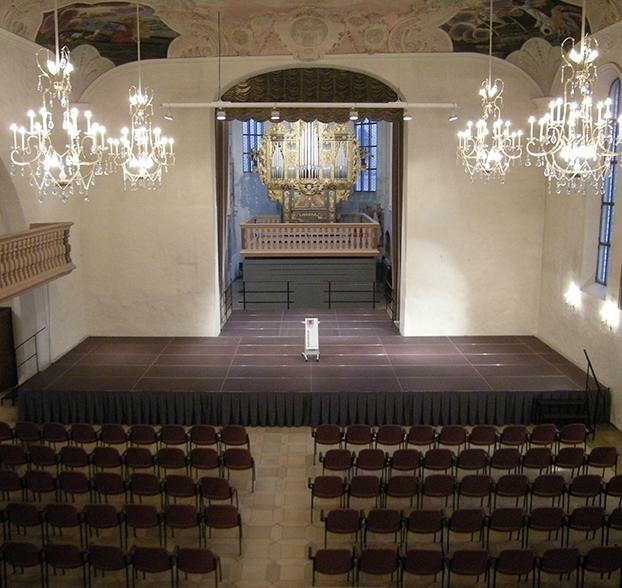 The "Combi-Corner" option allows the stage modules to be joined to other staging systems. Trenomat FIX stages are available with a wide choice of leg types, full details of which can be viewed on the product datasheet. A wide variety of foot options are available, including protective rubber feet and levelling feet. See product datasheet for details. 2m x 1m, 1m x 1m or 2m x 0.5m as standard. Custom dimensions available on request. Without additional diagonal braces: 1.5m With additional diagonal braces: 4m. 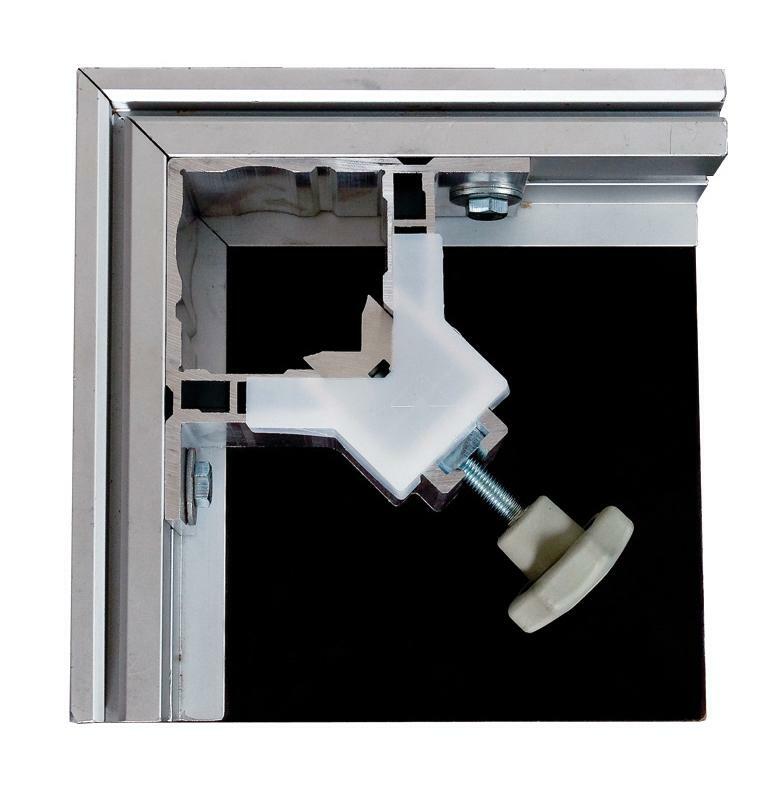 900-950mm For all height options, see product datasheet in the downloads area of this page.